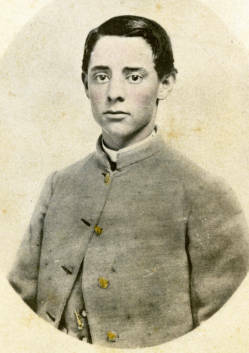 Biography & Genealogy: William Tilton Yarbrough, Class of 1867: New Market Cadet; Private, Co. A. Genealogy: Born- January 1, 1846, at Richmond, Va. Father- William J. Yarbrough; Mother- Ophelia Gathright. Grandparents: unknown. Married: Mary Virginia; 1st child- William McChesney Yarbrough; 2nd- Daisie Yarbrough. Careers: Tobacconist. Died- January 27, 1895, in Richmond, Va., and is buried in Hollywood Cemetery in Richmond, Va.